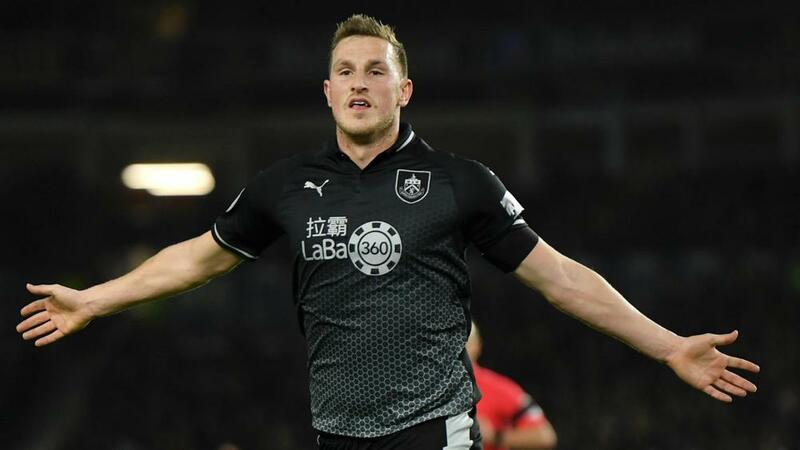 Chris Wood plundered goals in either half to help Burnley earn a 3-1 win over Brighton and Hove Albion and lift Sean Dyche’s men out of the Premier League relegation zone. Wood's clinical finishing at a rain-soaked Amex Stadium made the difference as Brighton was left frustrated by the heroics of Tom Heaton in the Burnley goal. Shane Duffy grabbed a consolation for Brighton in the closing stages but Chris Hughton's side is still without a Premier League win in 2019, while Burnley is unbeaten since the turn of the year and sits 15th, three points clear of the bottom three. Brighton and Australia goalkeeper Mat Ryan will want to forget Burnley's second goal, which arrived just after the hour mark when McNeil surged forward with the ball and fed Wood, whose shot skidded off Ryan's outstretched palm on its way into the bottom-right corner.